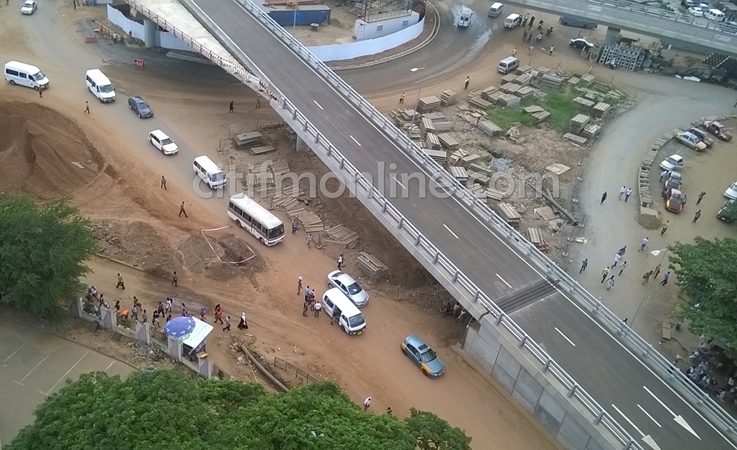 President John Dramani Mahama will this morning open to traffic two completed flyovers at the Kwame Nkrumah interchange which is currently under construction. The inauguration will among other things ease the congestion at the Kwame Nkrumah Circle as a result of the ongoing construction works. 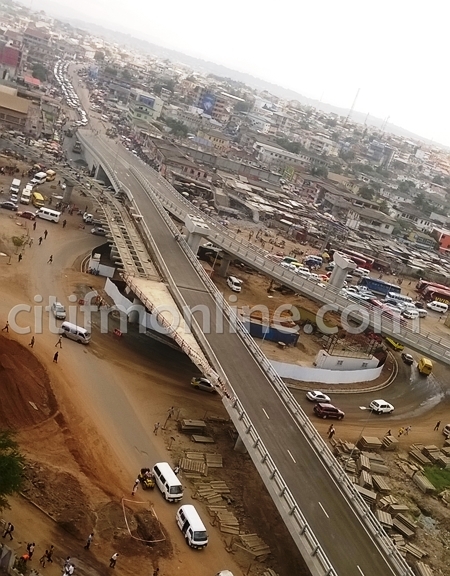 The two flyovers to be inaugurated include; one that links the Akasanoma to the Nsawam Road around the Vodafone building while the second links the Nsawam Road to the Nkrumah Avenue around the Ghana Commercial Bank building. Speaking to journalists after a tour of the project site, Project Manager, James Gatsiko indicated that all the necessary testing has been done on the road to warrant the opening today. “Overall, it’s more than 50% done; we had these two bridges ready and its part of our progress. 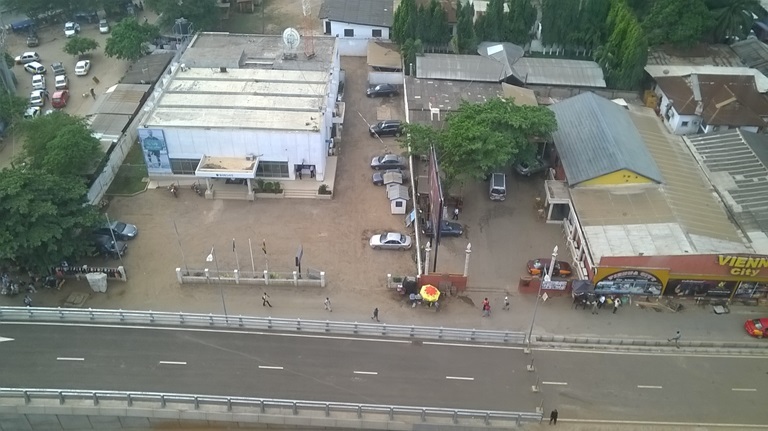 We need to open this to traffic in order to have less traffic at the ground level so that we can continue with all the other ground level works,” he said. Mr. James Gatsiko also assured of the ability of the road to withstand pressure to be exerted by the vehicles that use the overhead bridge. “When you finish any structure, you need to do the load test, so we did it, it’s a clause in our contract but we always do that for every bridge so you can be sure that it will hold them,” he added.